Well it has been an amazing 2014. We have successfully launched our new brand and the feedback we’ve had from our clients has been great. If you are lucky enough to have been involved please take a look at this video we have produced just for you. Usage of mobile devices to access the internet has been consistently and rapidly on the rise in the past few years. 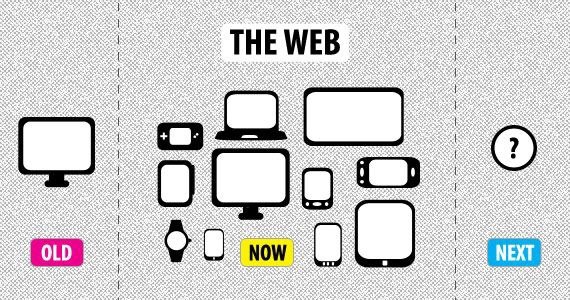 The advent of the smartphone and rapidly-increasing levels of tablet usage have turned mobile internet use from a niche (and painfully slow) experience for people who need information in a hurry into a sleek, day-to-day browsing experience. The key reason mobile-friendly web design matters is simply the fact that it now targets a significant portion of the market. The smartphone and tablet have brought the world to a point where over half of internet traffic is now mobile. If the average website is not optimised for mobile users, it is failing to properly target more than 50% of its traffic. Providing users with an optimal and pleasant experience on their device is vital if you want them to engage with your site and bring you their custom. This makes it not merely important but completely necessary for site owners to provide a mobile-friendly experience. This is true for virtually every kind of site. It is particularly true for eCommerce stores, as the process of browsing products and checking out creates more opportunity for non-optimised sites to prove difficult for mobile users. Perhaps surprisingly, it is also important for businesses that use their websites to draw local customers into brick-and-mortar premises. A high proportion of mobile searches are from people looking for this kind of business while on the go. The answer to this question may seem obvious, but there is one important point that still needs to be made. A mobile-friendly site is not a dedicated mobile site. With a massive range of different devices and screen sizes out there, this approach is outdated. It also creates technical problems that are now unnecessary, such as ensuring your two parallel sites don’t get treated as duplicate content by search engines. Now, the best approach by far is to create a single site that will work well on mobile devices of all types and sizes. This involves embracing mobile-first principles of clean design and fast loading times, and using CSS queries to create “responsive” sites that can rearrange and reconfigure themselves according to the size of the user’s screen. The point of a responsive website is to offer an adaptive user experience that optimises itself for all users on all devices, so while it targets mobile users it does not leave out the “traditional” browsers using desktop or laptop computers. However, most responsive websites target mobile users first and foremost, because many designers are of the opinion that this also brings real benefits for other users as well. Mobile-first design encourages an increased emphasis on several principles that are highly beneficial for non-mobile users as well. In order to provide an optimise experience for users with small screens, mobile-first sites tend to have clean designs that are pleasant and uncluttered to view. Navigation tends to be simple and intuitive to minimise the issues that a screen of three or four inches could otherwise create. In order to provide a pleasant and smooth experience at mobile data speeds, mobile-first sites are also usually designed to offer the quickest loading times, and the optimal balance between speed and good looks. All of these are factors that benefit traditional users alongside mobile browsers. Has Your Site Suffered at the Hands of a Google Algorithm Change?